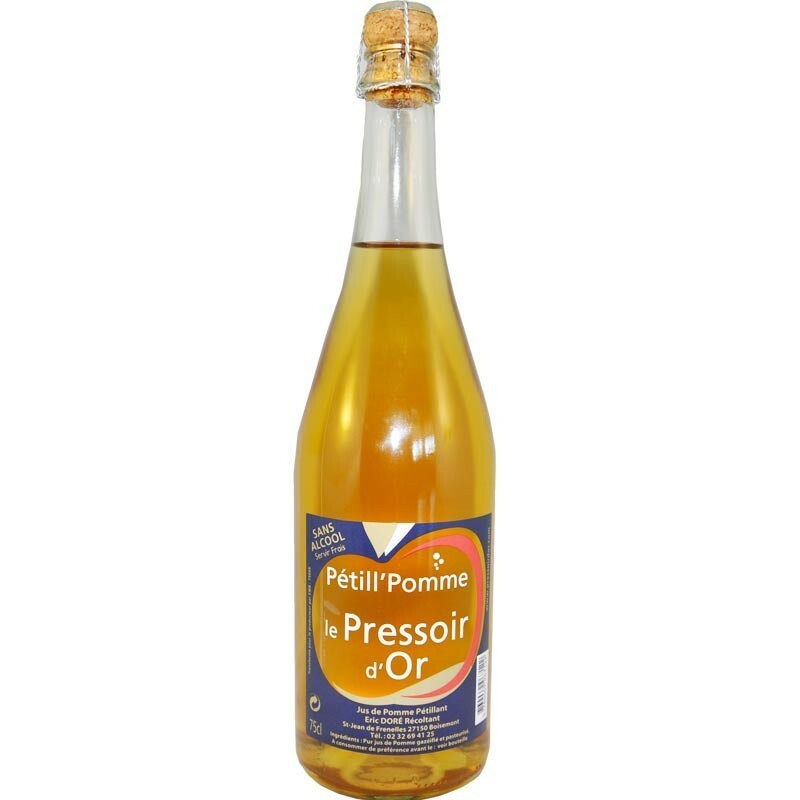 Petill'Pomme, sparkling apple juice, a French drink without alcohol to the good taste of apple enhanced by the sparkling bubbles. Petill'Pomme, sparkling juice, a French drink without alcohol to the good taste of apple enhanced by the sparkling bubbles. 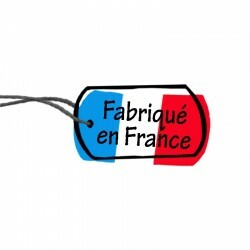 Pétill'Pomme is prepared from apple juice, which is added carbon dioxide to have this sparkling effect. Its orange-yellow color, its taste and its sweet taste are due to the mixture of different apples with cider. The bubbles are fine, they are not aggressive. It is a pleasant festive drink, which will appeal to epicureans of all generations. 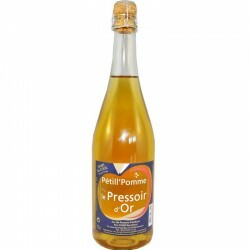 The petill'pomme, a sparkling apple juice from Normandy, a gastronomic product from France, selected by My Fine Local Grocery.